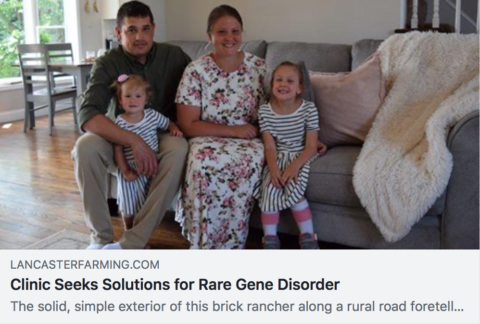 Eugene and Jeanette Horning sat down with Lancaster Farming news to talk about their unique journey raising a special child living with a random gene deletion, only found in 15 other people worldwide at the time of her diagnosis. Olivia is missing a gene that facilitates the brain-muscle connection which requires her to process information in a different way. The Hornings sought advice and care from Clinic of Special Children.